Traditional Voices Group and Yancey County Library are pleased to announce a free seminar to be held in conjunction with this year’s RiddleFest. 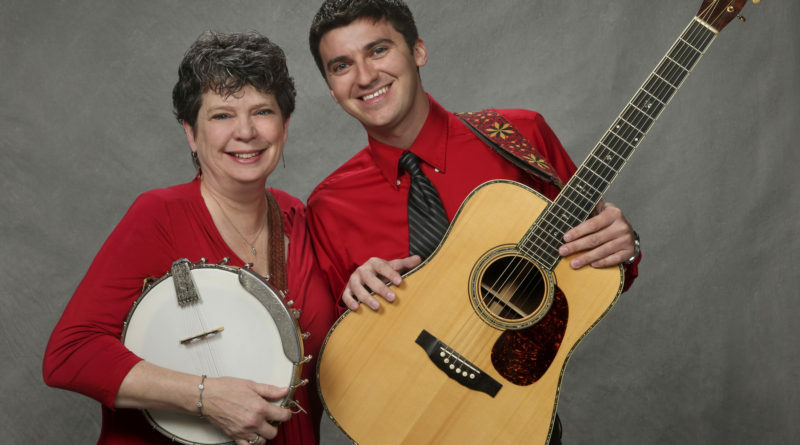 Madison County songstress Laura Boosinger and master fiddler Josh Goforth will discuss and demonstrate through musical performance the early efforts of professional musicologists and amateur musicians to preserve the songs and ballads of this region, focusing on British musicologists Cecil Sharp/Maud Karpeles and American musicians A.P. Carter/Lesley Riddle. The program will begin at 2 PM on Saturday, June 30, in the community room of the Yancey Library on School Circle. Sharp was the founding father of the folk-song revival in England in the early 1900s. He did scholarly field work on folk song, gathering thousands of tunes both from rural England and our southern Appalachians, and wrote an influential volume, English Folk Song: Some Conclusions, about his findings. He also revived the extinct tradition of English country dance. During the years 1916–1918, Englishman Cecil Sharp (1859 –1924) and his assistant Maud Karpeles (1885-1976) traveled throughout the mountains of Virginia, North Carolina, Kentucky, and Tennessee and recorded a treasure trove of folk songs in versions quite different from those Sharp had collected in rural England. Sharp recorded the tunes, while Karpeles was responsible for the words. Sharp was greatly struck by the dignity, courtesy, and natural grace of the people who welcomed him and Karpeles in the Appalachians, and he defended their values and their way of life in print. Today he is recognized as a historian who almost single-handedly preserved a whole tradition that would otherwise have vanished under the indifference of a rapidly changing world. A similar relationship existed between A.P. Carter (1891-1960), founder of the famed Carter family, and Lesley Riddle (1905-1979), an African American self-taught musician and native of Yancey County, who traveled together through the same region during the late 1920s collecting sacred and popular songs from mountain people. Carter collected the lyrics, while Riddle learned the tunes. This music was later made famous by the Carter Family through the popular Victor recordings and formed the basis of today’s country music. The songs reflect the values and beliefs of an American subculture. The unconventional comparison between English professional musicologists Sharp and Karpeles and native Appalachian musicians Carter and Riddle will help the audience understand that the music that surrounds us reflects both our history and our everyday values. The Seminar will be followed at 3 PM with the free screening of a fictional movie about song catching in the southern Appalachian Mountains. It is 1907, and American musicologist Dr. Lily Penleric has just been denied a promotion in the male-dominated world of her university. Frustrated and determined to get academic recognition, she heads to Appalachia with a recording device and writing materials. Staring Janet McTeer, Emmy Rossum, David Patrick Kelly, Aidan Quinn and Josh Goforth. The film’s score was written by David Mansfield, who assembled a roster of female country music artists to perform mostly traditional mountain ballads, including Rosanne Cash, Dolly Parton, Emmylou Harris, Hazel Dickens, and many more. 2000, rated PG-13, running time 1 hour 49 minutes. 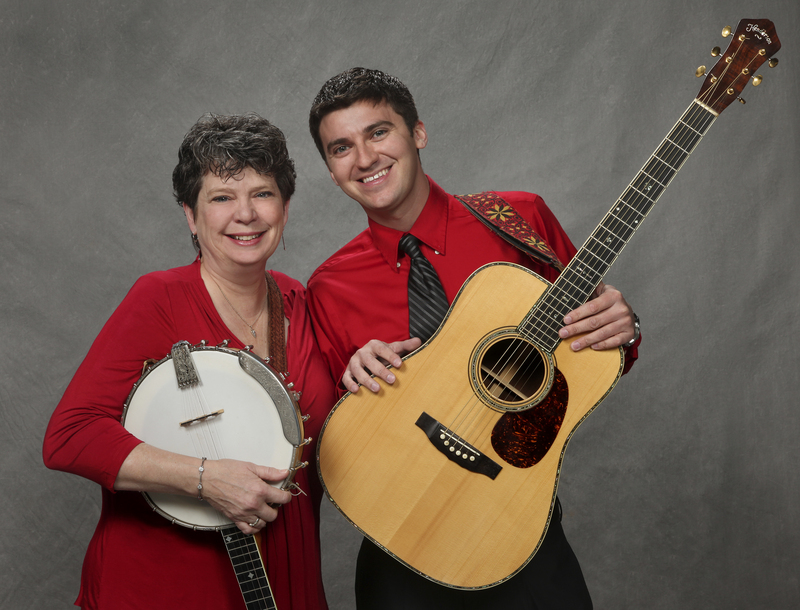 Boosinger and Goforth will headline an evening concert, also in the Burnsville Town Center. They will perform traditional ballads collected by Sharp and popular mountain music for the general audience that usually attends RiddleFest. The concert will be opened by the Griffith Chapel Singers, a group of singers and musicians who are members of Griffith Chapel in Burnsville, the African Methodist church that Lesley Riddle attended. The Singers perform spirituals and traditional gospel music, including songs gathered and written by Riddle in the early 1900s. Please visit the TVG website for further information: www.traditionalvoicesgroup.com or call TVG at 828-682-9654.